Our Holiday Tree Lighting event marks a very special day to all our members in the community. 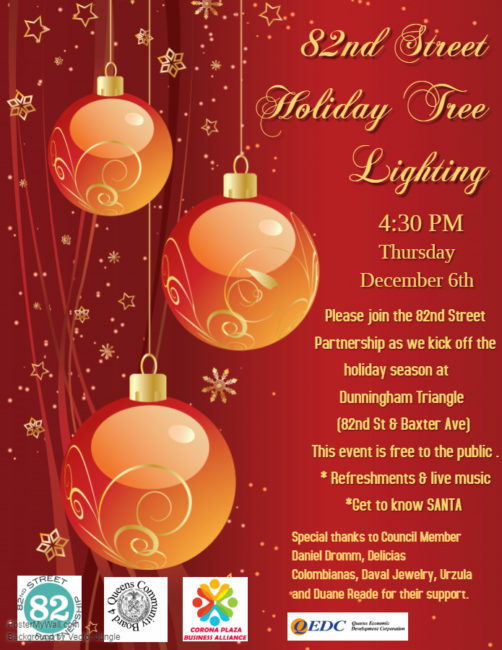 Join us on Thursday, December 6th at 4:30 pm at Dunningham Triangle (82nd St & Baxter Ave) to celebrate the wonderful holiday. Throughout our event, we will have refreshments and live music with an additional Santa Clause appearance. Everyone is welcomed to come. We hope to see you there!